The last mega Baby Fair of the year. Over 200,000 brands and products + new launches + crazy offers. Everything you need, Everything you want under 1 mega roof! The Bove & SuperMom Year End Sales Finale is a not-to-be-missed sales event at Suntec City, East Atrium from 27 – 30 Dec 2018. Only 4 days of never seen before massive mark downs! Mums & Babes is having a warehouse sale with up to 90% off from 28 - 30 Sep 2018. Visit them to enjoy great savings. Baby Hyperstore is having their Great Singapore Sale from 8 Jun - 12 Aug 2018. 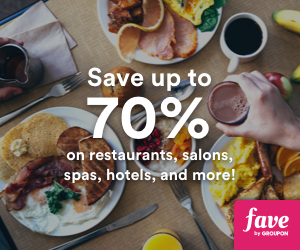 Visit them to enjoy discounts up to 75% off. The much-awaited 12% Rebate at TANGS is back from 25 - 27 May 2018! Hurry, shop now to enjoy great deals. Jujube Sale has started! Enjoy 50% off Legacy, Coastal, Sanrio & Tokidoki (Super Toki / Sweet Victory, Rainbow Dreams, Tokipops and Sushi Cars) collections. Metro is having their Big Branded Toy Sale from 8 - 13 May 2018. Visit them today to enjoy up to 90% off selected items. Mothercare is having their Warehouse Sale with massive discounts from 20 - 22 Apr 2018. Hurry, vist them to enjoy great savings. Baby’s Hyperstore is having their warehouse sale from 29 Mar - 1 Apr 2018. From cots to strollers, mattress, bedsheet, car seats and more!